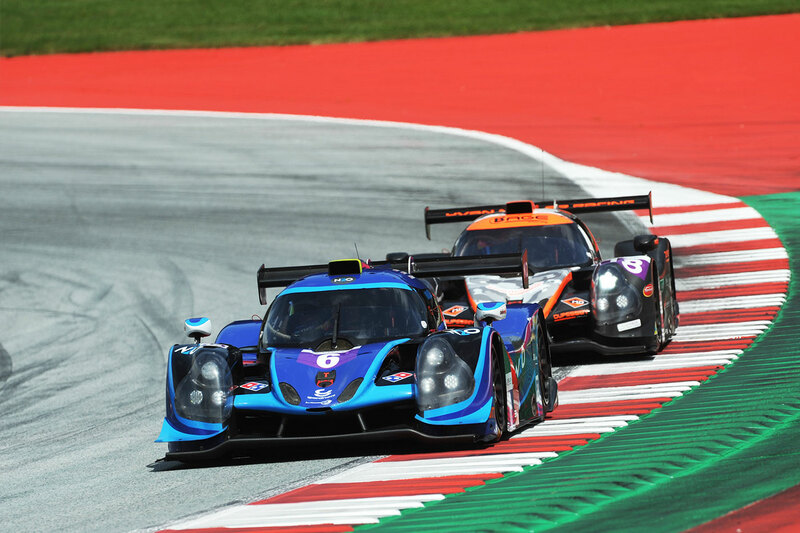 Returning to the scene of their first ever podium finish in the European Le Mans Series, the Silverstone based 360 Racing duo of Terrence Woodward and Ross Kaiser were hoping for another good result at the Red Bull Ring last weekend, particularly off the back of their second place at Monza last time out. Unfortunately the weather was to play its part initially. “Our car had been completely stripped and rebuilt since Monza, but we had no testing and went straight into free practice,” Kaiser explained. After the first session Kaiser had new brake pads and was intending on running on new slicks for the second session. “We just need more installation time and shakedown. Then it rained I had to go into qualifying with the new slicks,” he added. His best lap was disallowed, but it had been a struggle throughout the short qualifying session. 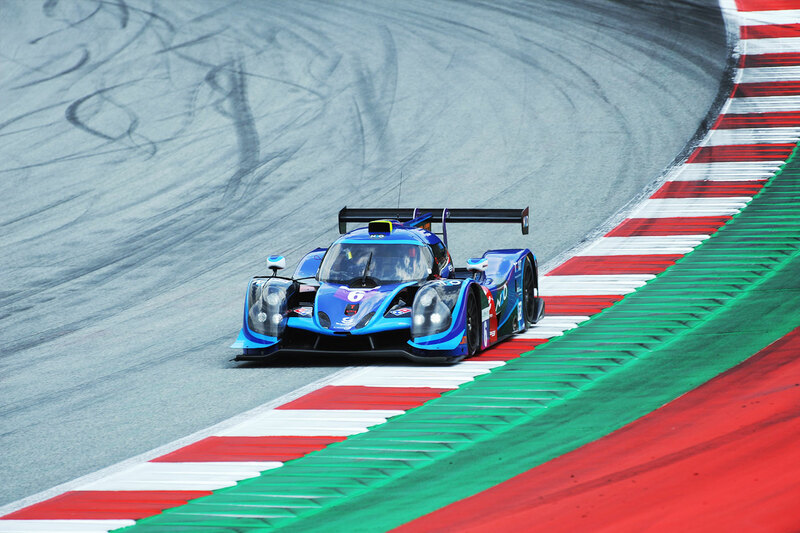 “Losing the quickest time didn’t make much difference, it was still not enough as we really struggled around the mid-section of the lap,” he said after qualifying 15th in their Ligier JSP3. As well as qualifying, Kaiser also took the race start, before handing to Woodward for a double stint. It was a remarkable start to the four hour race though, with Kaiser making four places. “Then we had problems with the wiper, it wasn’t raining but it smeared fluids from other cars over the screen and I couldn’t clear it,” he explained. He was back to 14th place and struggling for visibility. “It was a nightmare for the whole of my stint. I could see for the hairpins out of the top of the screen, but there was a double left, almost impossible to see with the whole of the centre screen smeared,” he added. He was one of the last in the class to make the first stop, so had climbed to fourth place before pitting. “We then had a problem with the front right wheel at the stop, we couldn’t get the socket on and the boys had to work really hard on it, but we still lost 51 seconds,” said Kaiser. “I didn’t know about the problem and rejoined on slicks, but we had some rain, not properly, but we seemed more competitive when it was damp,” said Woodward. His two hour stint brought him back into the top 10 before handing back to Kaiser for the final hour. “Ross had done so well at the start, but I thought we were higher up the order, as I seemed to pass so many cars, but I was just unlapping and didn’t find out until I got out,” he said. Into the final stint Kaiser began to find the pace that had been missing earlier. 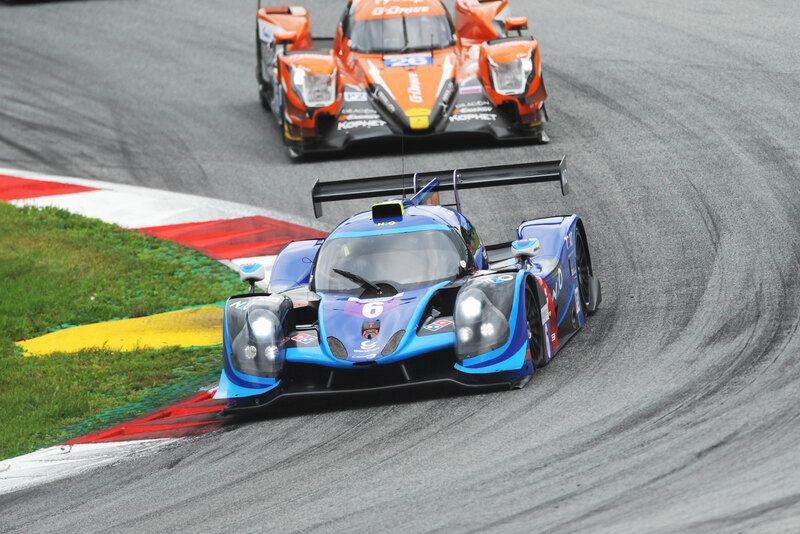 “Terrence had a quick fuel stop behind the safety car which had helped, but maybe the lighter fuel load made a difference as we were on the pace of the lead cars,” he said. For the last 14 laps Kaiser settled in eighth place. “It was disappointing but others had a bad day too. It’s important that we go to our home race at Silverstone next month fully prepared and we will have James Swift back to share the driving. When we first came into the Championship we maybe felt out of place, but we have improved as drivers and a team and belong in it now,” Woodward concluded.